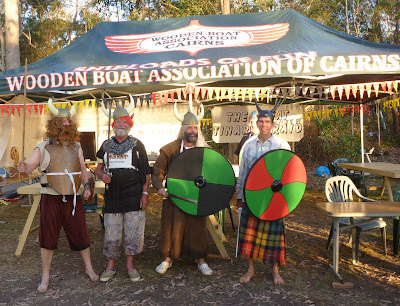 Queen's Birthday weekend saw Mr & Mrs MB camping at Lake Tinaroo at the Tinaroo Sailing Club, the venue for the Wooden Boat Assoc. of Cairns' annual Tinaroo Raid. 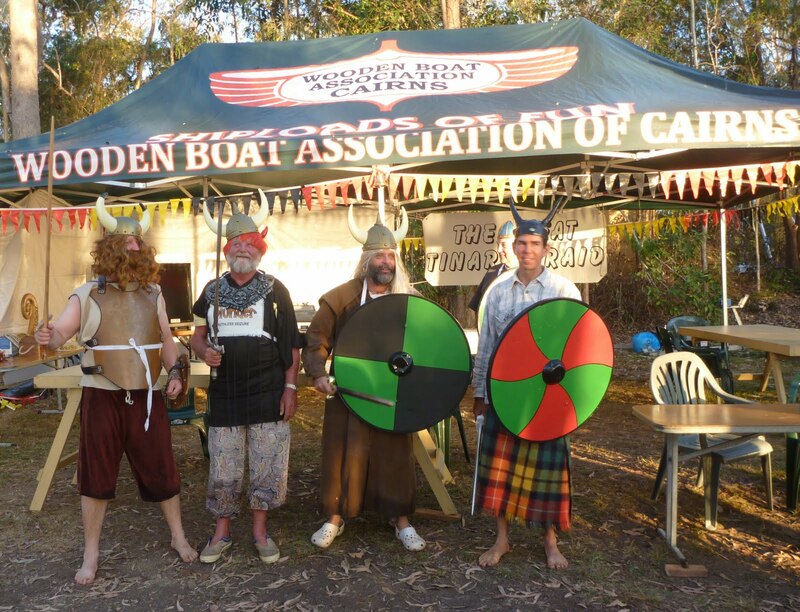 Viking theme this year complete with Viking longboat and Viking raiders, check out the littlelest Viking raider here. It's been about a hundred years since MDR & MB went camping. Luckily their generous neighbours loaned them a state of the art tent. First night was surprisingly very cold and the old sleeping bags were woefully inadequate. MB's airbed also deflated so it was a long night. Definitely investing in some state of the art campbeds before the next camping trip. Tinaroo is a fantastic camping spot, the stars at night are spectacular and it's tremendously satisfying just sitting around the campfire. An added bonus is no mobile phone reception. Got the camping bug now so looking forward to some more trips around the area. The Vikings look pretty horny.